How to be a crorepati by 40? At young age generally people spend exaggeratedly and think that they will save when their salary will rise. But that day never comes, their expenses rise more than their income. Creating wealth is everyone’s dream but most of people do not have enough saving by 40. At young age generally people spend exaggeratedly and think that they will save when their salary will rise. But that day never comes, their expenses rise more than their income. And by the time they reach 40, when they have more responsibilities, they realized that they have not saved a single penny. So, if you also want to be a crorepati by 40 just follow the below mantras. A person should start investing as soon as possible because sooner you start investing the lesser amount you have to pay to accumulate a particular amount. In below table, it is illustrated that as the age is increasing the monthly investment required to accumulate one crore is also increasing drastically. The second benefit of starting to invest in early age is that the total investment to accumulate one crore is less. For example, if a 20 year old guy wants to create a corpus of one crore, he has to invest Rs 10,871 per month, assuming 12% p.a. return, till 40. His total investment would be ~Rs 26 lakh. But if a 35 year old man wants to create a corpus of one crore in next 5 years then he has to invest ~Rs 1.24 lakh per month to create the corpus, assuming 12% p.a. retrun. His total investment would be ~Rs 74 lakh. Thus, a person should start investing in early age. Table: Monthly Investment to become a crorepati at different age and at different returns. The first thing a person should do to become a crorepati is to save first and then spend. 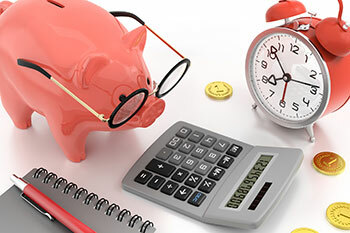 Generally, people first make their monthly budgets and then calculate how much they can save. But we advise you to do the reverse – first decide the saving and then make the budget of monthly expenses. The income from a single source is not enough to meet all the financial needs due to changing lifestyle. Therefore, an individual should find other source of income to generate additional income. A person can opt for part time job or weekend jobs or can also take the tuitions. Generally part-time jobs pays on hourly basis but a person can get good amount of money. Most of the people successfully save the money but they keep it in a saving account or do an RD/FD. You money will not grow this way. And in high inflationary scenario your real return may be negative. Remember the mantra to create wealth – “Do not save money to save, save it to invest.” A person should look for other investment avenues to create wealth in long-term. Balance funds and Equity mutual funds are best investment options to start since historically they have given higher returns than saving accounts, RDs and FDs in long-term. However, the returns are not fixed. For example, if a 25 years old person wants to invest Rs 10,000 per month in RD then he will be able to accumulate ~Rs. 34.1 lakh in 15 years. On the other hand, if he chooses to invest same amount in an equity funds then he would be able to accumulate ~Rs.61.6 lakh in 15 years. We have assumed that RD and equity MF will give 8% p.a. and 15% p.a. returns respectively, based on their historical returns. Equity funds returns are not fixed but 15 years is a very long period thus he should choose to invest in an equity MF instead of doing an RD. Expected Return 8% p.a. 15% p.a. Money would not appear itself; you have to put effort for it. You should have a SMART goal to create wealth. The below table has elucidated how a person should define his goals. S Specific The goal should be specific purpose. Like buying a car, retirement corpus. M Measurable The goals should be measurable in monetary terms. A Attainable You goal should be attainable. You cannot assume to be crorepati by just saving Rs 500 per month in five years. R Resourced You should also have resourced to attain the goal. You cannot save more than what you earn. T Time-bound The goal should be time-bound. A goal without a time just a dream that will never come true.